Coming home early from office, Arnav started searching for his wife, Khushi. It didn’t take him long to find her. There she was at the poolside, dressed in yellow and red salwar kameez adorned with gotas, with matching bangles, hair loose, looking as angelic as ever. She was watering the plants at the poolside. 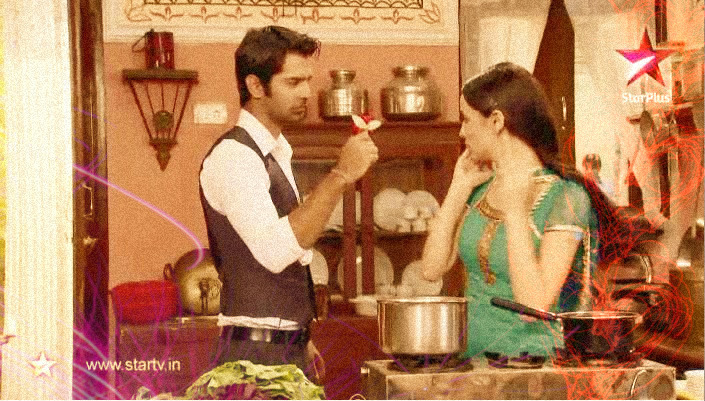 It gave Arnav a comforting peace to see his wife water his plants … no … their plants. Khushi was lost in her own thoughts while watering the plants. Just like her Arnavji, she too found peace and solace when she was around his plants … no … their plants. She smiled at the thought. Her hair was swaying a bit in the slight wind. It reminded her of the day when Arnav had plucked the clip off her hair causing her hair to open loose and he had said, ‘Now it’s better’. Although Arnav had never insisted her to dress up in any particular way, she knew he loved it when she kept her hair untied. The slight wind caused a few strands of her hair to fall on her forehead. Both her hands were holding the heavy water can, so Khushi tried to push back the strands by jerking her head backwards. It didn’t work, so she tried to do it again when a hand came in and put the errant strands behind her ear. She knew who it was, turned sideways and found her Arnavji. Her breath hitched as she was soon lost in a pair of chocolate brown eyes. Arnav too couldn’t help but admire his wife’s beauty. She seemed to get prettier day by day. Soon, he too was lost in her hazel eyes. The couple came back to their senses only when they felt something wet under their feet. Water was flowing from the water can into the pot, which was now overflowing. Arnav took the can from Khushi’s hand, kept it on the floor and picked her up in his arms. “Arnavji, what are you doing? Put me down, someone will see,” said Khushi getting flustered. “I don’t care. We are going out … now,” Arnav replied and carried her till they reached the SUV. They sat inside, put on their seat belts when Khushi asked where they were going. “You will know soon,” smiled Arnav. The vehicle started and Khushi too started insisting him to tell her about their destination. “Okay, I will give you a clue. 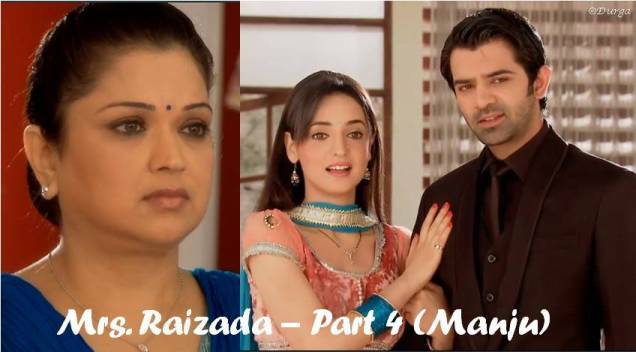 Do you remember the first time you sat in this SUV?” asked Arnav. “Yes, I do. It was on Raksha Bandhan day. Di had left home and we were looking for her,” remembered Khushi. Arnav remembered that day too. He had been very rude to his Di. He was angry at himself because he couldn’t stop thinking of Khushi. And in his anger, he shouted at Di. ‘This is MY house,’ he had said. Di was heartbroken and had left the house without telling anybody. Those angry words of his hurt him to this day. Khushi realized what Arnav was thinking and kept her hand on his shoulder. Arnav calmed down, turned towards her and smiled. “No, that was not the first time. Now, I am not going to give you any clues. You will know when we reach there,” declared Arnav. Khushi sulked a bit but smiled soon enough when Arnav started teasing her brooding face. Arnav had been waiting long for this day. He was anxious to see the reaction on Khushi’s face once they reached there. He wanted to keep her happy, have that beautiful smile on her face all the time. He knew what a tyrant he was earlier. He made her do ridiculous tasks, made her slog at unusual timings, not caring about her health or safety. He was a hard taskmaster. But with time, his angry behavior subsided as he fell in love with her. He did say sorry to her much later, but Khushi had long forgiven him by then. She knew how much pain her Arnavji had been going through. Khushi became a soothing balm for Arnav’s never healing wounds. Arnav could never forget the place they were going to. It was the first time he had got worried about Khushi’s safety. It was the first time he frantically searched for her. It was the first time he called her Khushi, not Miss Gupta or Khushi Kumari Gupta. It was the first time she fell unconscious in his arms. It was the first time he put the strand of hair behind her ear. It was the first time he wiped her tears. It was the first time in many years that ASR became Arnav and was dumbfounded by the beauty in his arms. He had been so worried for her that night. Not until Di called up her home and inquired about her health and learnt that she was fine, then Arnav heaved a sigh of relief. Arnav’s thoughts went to the day when the idea for this surprise occurred to him. “No, he’s not home. But, I will inform him about the message”, saying so Khushi disconnected. Arnav had been wading through the heavy traffic for some time. He was exhausted and tired after a busy working day. He was yet to receive the details from his client when he stopped at a traffic signal. He was getting anxious as his phone battery was getting lower. Just then, the phone rang. It was Khushi. Why is she calling me when I told her not to?’ wondered an irked Arnav. He disconnected it without picking up. After some time, the phone rang again. It was Khushi once more. And once again Arnav disconnected. He was agitated now. The traffic signal showed green, but Arnav was turning red in anger. He was yet to receive the details and instead of the client, Khushi was constantly calling him. He finally did receive the message from his client, but as soon as he opened it his phone battery completely depleted. He was now infuriated. He reached home, went to his room, saw Khushi sitting on the recliner, threw his coat on the bed, held Khushi by her shoulders making her stand. Khushi got enraged with Arnav’s accusations. “How can you say so, Arnavji? First of all, I did not call you for any trivial matter. Second, Aman has sent your laptop home, so that you could do your work on it. And he said that he had an urgent message to be given to you, so he asked me to inform you as soon as you came home. I am trying to be responsible Arnavji. But, if you still think otherwise, then I have nothing to say”, said Khushi and left the room. Arnav was still fuming when he heard his Di call. “Chotey? !” He turned back to see his Di, who obviously had heard his and Khushi’s fight. “What is all this Chote? How can you talk to Khushiji like that? Do you even know why she called you? She called you because of me”, revealed Anjali. “What?” Arnav wondered what was up. Khushi left for the kitchen. As Arnav proceeded towards the room, his mind was filled with the events during the guest house incident and Khushi’s fear about their relationship which she just spoke about. He knew what had to be done. Arnav parked the SUV a little away from his surprise, got down, went to the other side and opened the door for his wife. Khushi got down wondering where they had come to. “Do you remember this place Khushi?” asked Arnav. “This place … I know … I know this place. Isn’t this the place where your guesthouse was? The one where I had got trapped? But, why are we here now?” asked Khushi. “Yes, this is that place. Come, let’s go near the guesthouse,” replied Arnav, took her hand and started walking towards the guesthouse which was just around the corner. When they reached, Khushi’s mouth opened in wonder. In front of her was a beautiful double storeyed bungalow. She went closer and found the name of the bungalow written on the wall, ‘Khushi Sadan’. Tears brimmed from her eyes, she turned around and looked at Arnav with a query on her face. Arnav took her hand and led her inside the house. “Khushi, this is a surprise for you. This house has been rebuilt from scratch and it is a gift for you. I’ve been wanting to do this for some time. 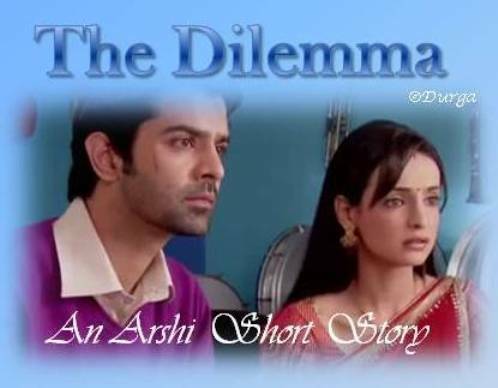 It is finally ready to show to you,” Arnav explained. After surveying the whole bungalow, Arnav and Khushi came back to the living room where Khushi put forth her query in words. “Why Arnavji? Why all this? What was the necessity? And why now?” Khushi asked. “Khushi this is a special place for me. The place where I came looking for you, I was so worried about your safety. It was the first time I realized that I was drawing closer to you. Someone, for whom I could leave everything behind and come to search for. I didn’t want to send anybody else, I had to come myself. It was the first time I took you home. And that was the first time that you were in the SUV. You were unconscious, so you didn’t know”, answered Arnav. Arnav was surprised and asked her how she knew for she was unconscious. “I don’t know how. But, I knew you had done that”, said Khushi and smiled. Khushi and Arnav embraced each other in a tight hug. “Khushi, we’ve been through a lot before. We might face problems later too. But always remember, the way we feel for each other, the way we can sense each other, whether we are close or far away, this will never change. We will always overcome our problems. Arnav and Khushi will always be together.” As Arnav said this, happy tears flowed down from Khushi’s eyes. Khushi was finally relaxed about the future of their relationship. Arnav and Khushi spent some more time in their special abode talking about all the difficult times they had been through and yet, had always found each other. They left for Raizada Mansion later in the evening. 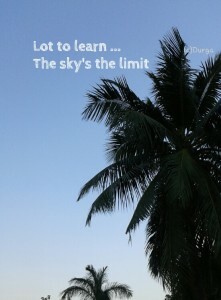 Credit to the picture edit goes to my dear friend Supriya. Di, It’a a lovely OS. hoping to read more . And i love how you redeem the guest house scene🙂..it’s one of my wishlist. Thanks gprs. That guest house incident was screaming for redemption.